About The Author - Your Go To Location for Fishing Information! Hi, My name is Leon Campbell. I am 37 years old and fishing is my passion! I have been fishing ever since I was a young child with my father in the great state of Florida. I also love to write! I spend a lot of time on the water with my 2 children and loely wife who also share my passion. I consider myself a seasoned fisherman with many years under my belt. I have fished all over the United States as well as a Canada. The fishing does not get much better than right here in our home turf! 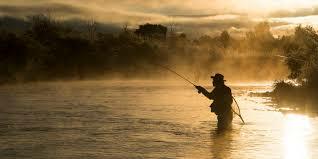 I hope my writing will hekp everyone gain knowledge they need to be a more successful fisherman!